Women worldwide are breaking their silence—coming forward against the men that have oppressed and abused them in the #MeToo movement. It’s an exciting, liberating moment time of female empowerment—but now we have to relearn how to connect with each other. 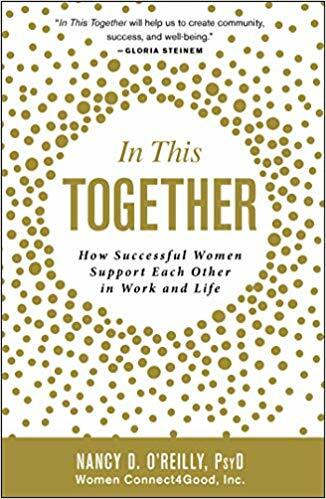 Instead of supporting each other through the challenges of a traditionally male-dominated working world, millions of women have experienced the polar opposite. Studies show that 30% of workplace bullies are female—employing tactics such as cyber bullying, verbal attacks, gossiping, and shunning to use against each other—and many women have garnered “mean girl” reputations as competitive and unsupportive in the workplace. Inside the galvanizing In This Together, 40 successful and eminent women from a wide range of fields show us how much we can achieve if we embrace our collective power and strength, instead of competing against each other—such as learning new skills to advance in our careers and ultimately earn more money, working to dramatically increase the number of women in leadership positions, and even recruiting men to take up workplace equality as their own impassioned cause. Empowering, stirring, and actionable, In This Together is an indispensable addition to every modern woman’s arsenal in our continued fight for the opportunities we deserve.